Sharon Lee Tegler. 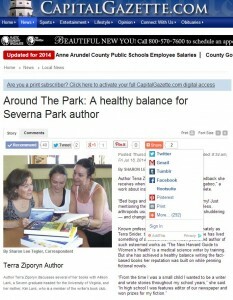 Around The Park: A healthy balance for Severna Park author Terra Ziporyn. The Capital. July 17, 2014.